Our international readers will have to excuse our rather self-indulgent post today as we wrap-up the goings on from the weekend just past that saw three massive race take place over the course of 48 hours and some amazing results for our local Aussie and New Zealand runners. If you looked at the scheduling of races this weekend just gone a few months ago, you’ be excused for thinking that it was all a little crazy having not only the Sky Running World champs and Western States on the same weekend, but then throwing in the North Face Lavaredo Ultra Trail in too. But there was a plethora of talent mixing it across all three events and for the first time, a genuine sense among Australian athletes that we could compete against some of the world’s best. Rewind six or seven years ago when I first started running ultras and there was none of this. No ‘structured’ information on the Interwebs as to how to run and approach ultras, we’d rely on tales from the guys who’d been doing this for years previously, known otherwise as the ‘crazies’. Once in a while someone from Australia would head overseas, but rarely would they be there to compete (which is fine), but Aussie ultra running was generally happy-go-lucky and all about the fun. After all, we live in a place that’s generally pretty flat, massively low population numbers (compared to the US and Europe) and very little in the way of an established ‘scene’ compared to our larger ultra neighbours. However, that scene has built incredibly over the last few years with a cracking series of races springing up on the ultra calendar. Perhaps the catalyst for this was TNF100, established seven years ago and now part of the Ultra Trail World Tour that sees some of the world’s best head down under to race in the Blue Mountains. The Tarawera Ultra has done similar things over in New Zealand too. Then last year Skyrunning made its mark with the setting up of the ANZ association and the Buffalo Stampede, which again saw one of the world’s best, Dakota Jones head down our way to compete with some of our brightest talent. But what has spawned this growth in our sport? Well like anything in life it’s a combination of factors, including more races to meet demand, more information freely available to people to help them train better, as well as a healthy mix of rising stars inspired by the exploits of some of the ‘older hats’. It’s that last point that’s really important. Any good team or ‘scene’ needs to have that balance, and we think ANZ is in a good place right now with regards to some of our ‘older’ athletes peaking at the right time, inspiring the next generation of girls and boys to enter ultra running much earlier than they would ordinarily do. Importantly, the funding is now being ploughed into the sport too, whereby we’re seeing both main organisations, Skyrunning and UTWT paying for athletes to attend these races that they might not have ordinarily been able to afford. Would our guys have gone over to Europe and the US if the funding had not been there? A few maybe, but not the legion that we saw in the last few days. Money, in this case does talk. So what happened this weekend with our local guys and girls? It’s fair to say that everyone who represented Australia (and New Zealand) really shone out simply for being there and mixing it with the world’s elite runners, particularly those from Spain, France, Italy and the US – so instead of singling out one or two, we’ll highlight all of the performances. 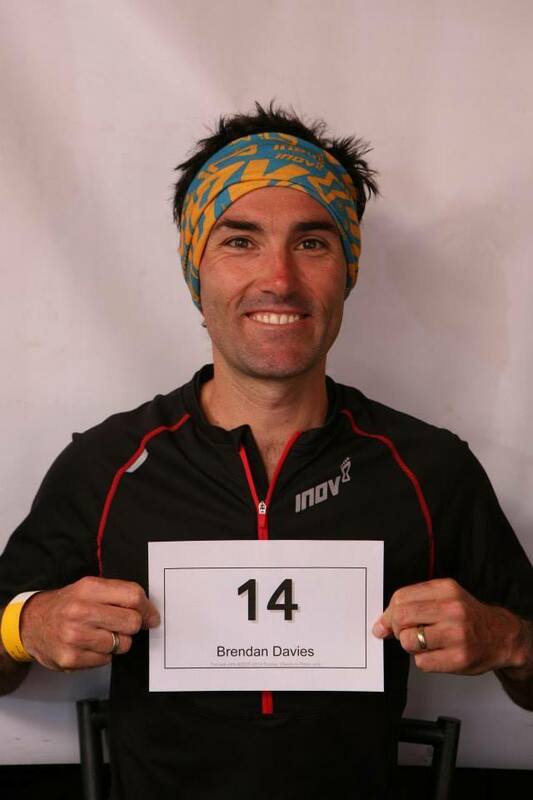 First up is Brendan Davies 8th place at Western States yesterday. We called it in the preview as a potential top 10’er and this is huge for a number of reasons in that we’ve never had anyone get near the coveted top ten placing at WSER100. Why is a top ten placing so important? Well for starters it gets you automatic entry into one of the hardest to get into ultra in the world. It also gives you a coveted ‘M’ or ‘F’ number for the race, which basically means you’re kind of a big deal and Brendan’s number for next year will rather appropriately be M8 (see if you can work it out). 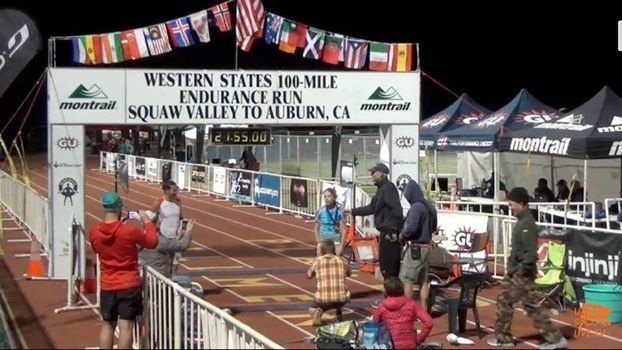 Finally he ran a sub 16hr 100 miler on a tough course in crazy heat – seriously good stuff. Along with Brendan was a fine performance from Vajin Armstrong to finish in 17th place in 17hrs 50mins and veteran Aussie runner, Dave Eadie snagging a top 50 spot in 42nd and a PB of 20hrs 29mins. At the same race, Beth Cardelli finished a hugely impressive 11th and just outside the top ten after what was an injury prone build up with limited training. We didn’t give Beth too much of a pump-up prior because we didn’t want the weight of expectation to be a burden on her shoulders, but she ran a cracking race, which for the most part was done inside the top ten before finishing in a time of 21hrs 55mins. With the right build-up, Beth would surely be a top 5 contender for this race in future years. 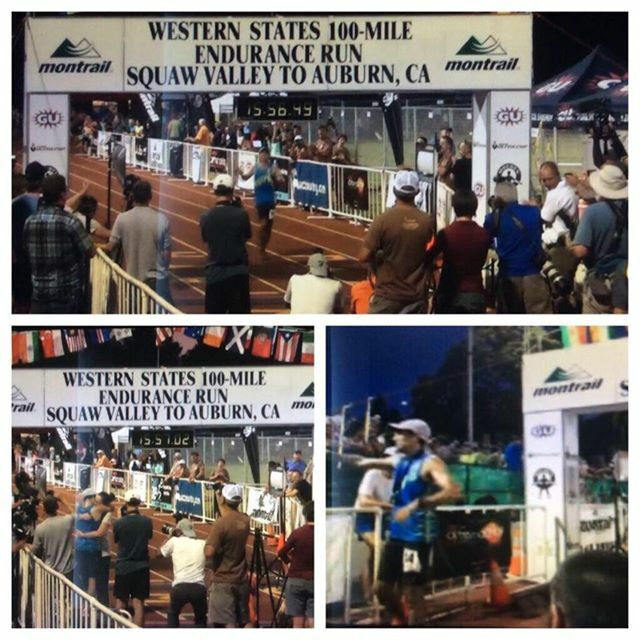 Beth had a solid race at WSER100 despite limited prep. 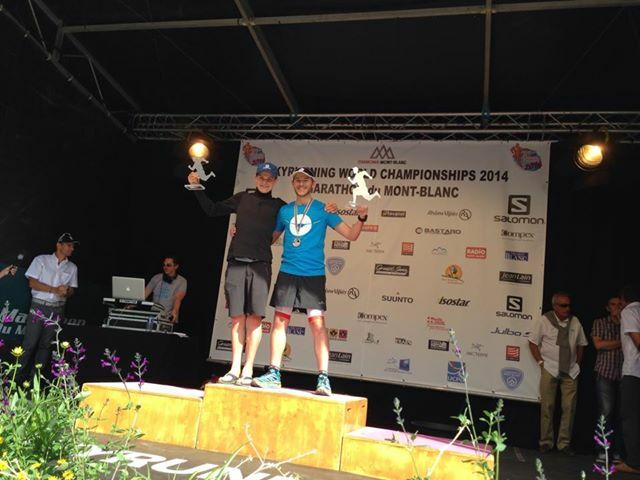 Next up are Ben Duffus, Blake Hose and Caine Warburton for their exploits at the Sky Running World Champs over in Chamonix, where all three finished in the top ten, Ben finishing on the podium against a stacked field. I’ll be honest, I never anticipated that one. I thought maybe 1-2 in the top 20 if we’re lucky, well how wrong I was. Three guys in a quality race such as that is an amazing achievement, even more so when you consider the lack of local knowledge of the course and terrain they raced upon. Training on the ‘hills’ of Australia is nothing compared to the 4,000m peaks over in the French Alps, which makes these performances even more impressive. Let’s not forget Matt Coops, who finished in 29th place too. Add to the mix, Anna Frost and Ruby Muir (from NZ), finishing in the top ten of ladies competition, along with the infectious smile of Jacinta O’Neill, made for a very strong ladies team in the 80km events. This was complemented with some fine running from the Skyrunning marathon guys and girls, Vlad Ixel, Jo Brishchetto, Sarah Jayne-Miller, Lucy Bartholomew (who won the Skyrunning Junior Championship of the World) as well as Kiwi’s James Kuegler and Jono Wyatt. Finally and last but not least, Scott Hawker with a cracking 7th place at the North Face Lavaredo Ultra Trail over in Italy, won by a certain Anton Krupicka. Scott’s been piling up some impressively solid results recently and this is another one to add to the book. In short it was a cracking weekend of running not only for our local ANZ runners, but as a whole. I for one was massively excited to see how far the sport has come over here in the last few years and indeed, where it’s headed. The future’s bright – and apologies if we’ve missed anyone out! We’ll certainly add them to the great list. Sophie Grant came 11th woman at Lavaredo and Andrew Layson, who came 1st in the 50+ at TNF50 this year, came in 254 also at Lavaredo.